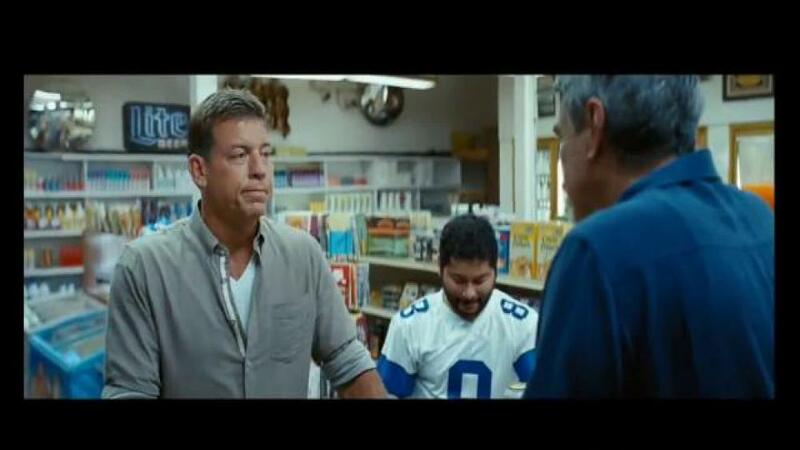 Former NFL quarterback and Dallas Cowboy Troy Aikman is in a the store grabbing a pack of Miller Lite in this new commercial created by WPP entitled "Dwelling In The Past". As he pulls out his wallet, a young fan nervously says hi behind him, saying he's a huge fan of his touchdowns and wins...but Aikman is not a man who likes to dwell in the past. Suddenly, his cell phone buzzes and the ringtone is an announcer yelling "AIKMAN! TOUCHDOWN! UNBELIEVEABLE!" Aikman has to admit that he does dwell on the past. If you were him, wouldn't you?